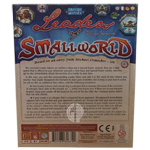 Drake says: "The Grand Dames of Small World is the first expansion for Days of Wonder's Small World board game released in 2009. The Grand Dames includes 3 new powerful female race banners - Gypsies, Priestesses and the ghostly White Ladies. It also includes 2 new Special Power Badges - Historian and Peace-Loving. " 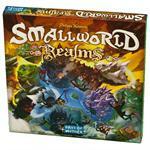 John says: "The Grand Dames expansion adds even more possibilities and special powers to Small World. 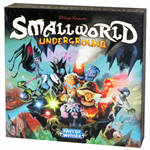 Highly recommended for fans of the core game!" 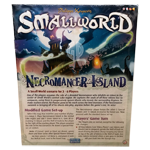 The Grand Dames of Small World expansion was created as part of the Small World Design Contest and features winning designs from the over 700 different entries submitted. 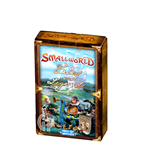 This is an expansion and requires a copy of the Small World board game. 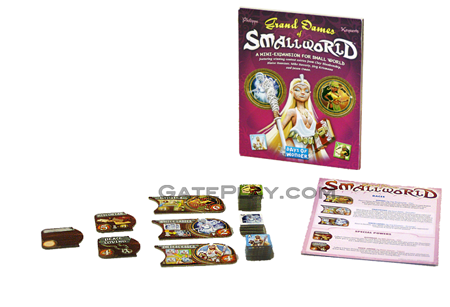 The Grand Dames of Small World features Priestesses, White Ladies, and Gypsies, along with Historian and Peace-loving Special Powers. 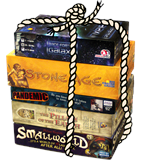 Check out "Small World: Grand Dames" on BoardGameGeek.com! 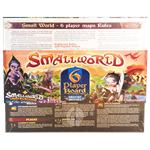 Hunchy says: "If you like Small World, you may also enjoy Clans and The Bridges Of Shangri-La.